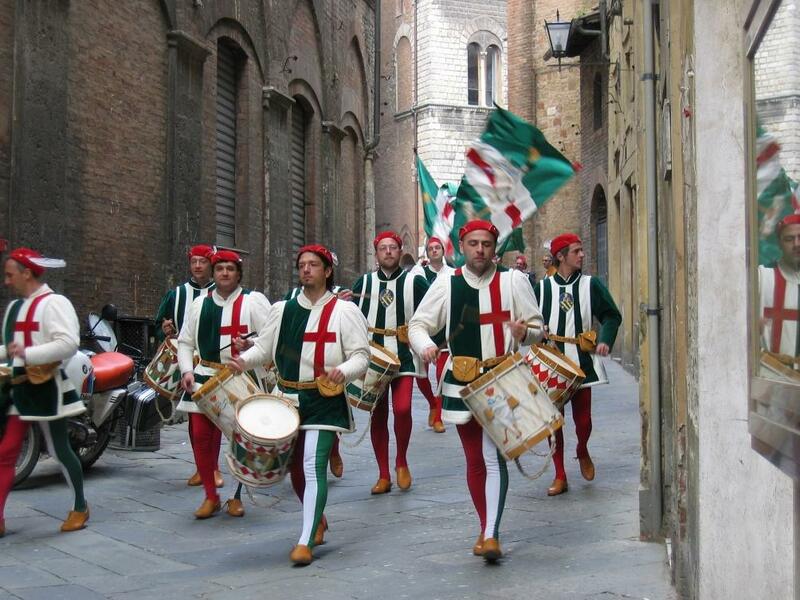 With all that has happened in Italy this past week, I am feeling somewhat self-centered. After all, 15 people are dead in Italy because of the Uber-Storm that hit this country. My neighboring town, Rapallo, lost its Sea Wall. 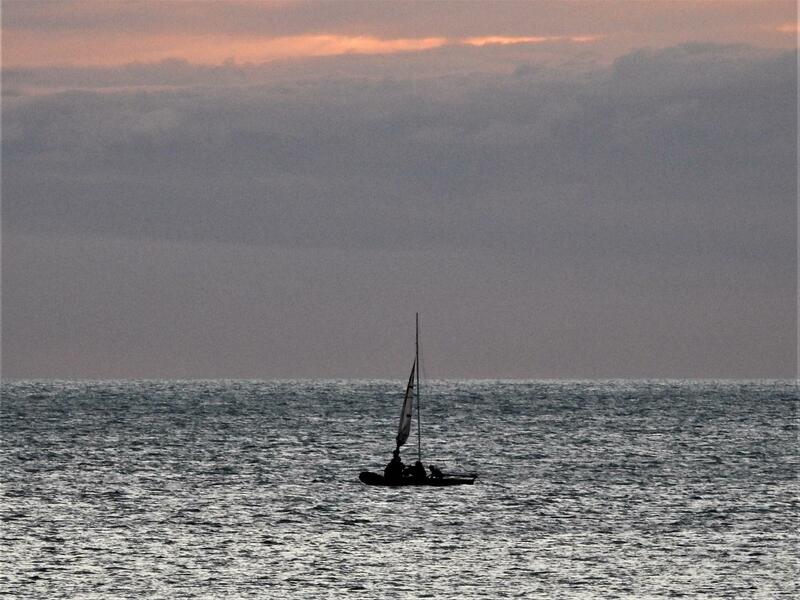 Yachts flew everywhere. 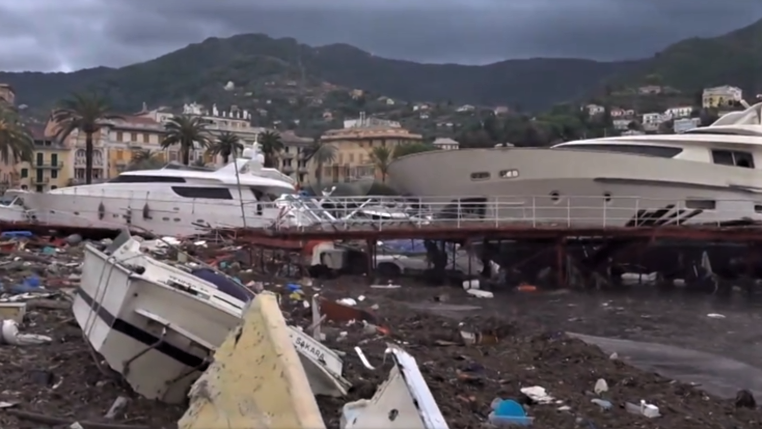 The road to Portofino was destroyed by a giant wave. 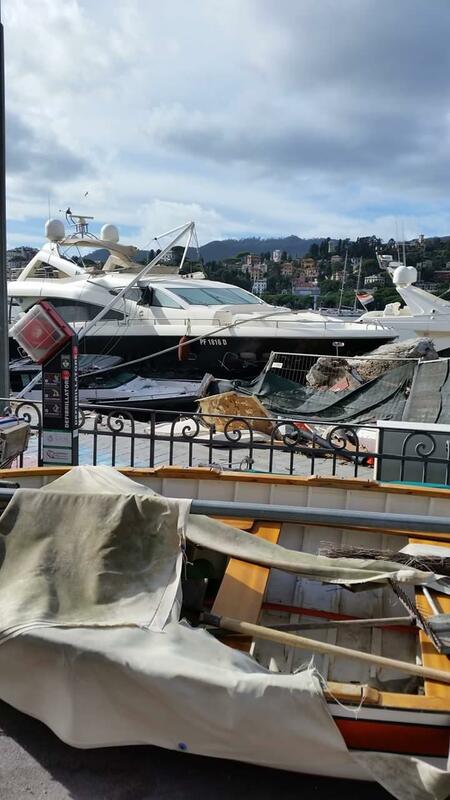 Santa Margherita had extensive damage. Camogli flooded and some shops were destroyed. Nervi lost part of its road. 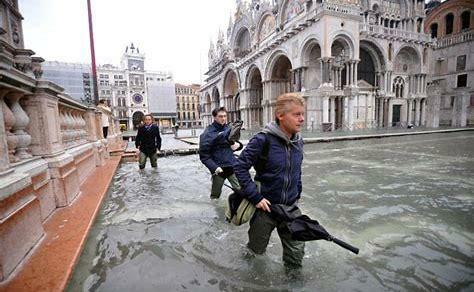 And Venice, La Serinissima, had its highest acqua alta, water level, since the 60s I believe. There was so much more devastation and loss. I am quite thankful that Chiavari and I suffered very little. There was a warning of flooding, but it was called off. Some trees were broken and lost. Centro Storico, our portico covered downtown, flooded. In the midst of all this, I needed to book flights to the USA for the holidays. Last week I spoke of Norwegian Air Lines and my excellent experience with them. This time, I booked my flight from Rome to Los Angeles in coach with Norwegian for such a decent price. I feel very lucky about that. I planned my return flight to be on United. I had taken United Air Lines in May to the USA. I cancelled my return flight to Italy because the car accident my girls experienced. When I spoke with United in August, I was told that if I booked a different flight at that time, I would not need to pay a change fee but if I waited that was not definite. However, my ticket home was worth $469, and I had to use it be 19 April 2019. I have notes on all this. In September, I called back to book a flight from Washington State to New York. This time, I was told I could NOT use it in the USA. I had to use it to fly to Europe from the US. No one mentioned that to me on the first call. I had booked Norwegian Air because all the 1-way flights on United were too expensive. I spoke with a manager at that time who assured me that I had until April to use this record number and I had a value of $469. Saturday, I called United again and they pulled up my record number. We discussed the past conversations, including the possible Change fee of 130 Euros because I had bought the ticket with Euros. The person assisting me put me on hold to check to see if they needed to charge me the change fee. After about 5 more minutes on hold, she came back to tell me that they could not use my credit. The only way I could get any of that money back was to go to United.com and apply for an exception for a refund. I would need doctor’s paperwork about why it was cancelled, etc. I demanded to speak to her supervisor. 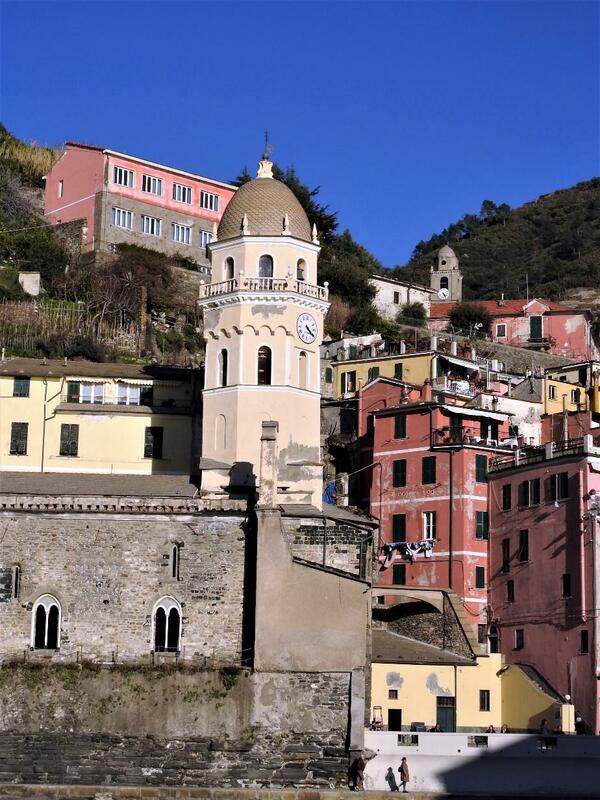 This photo of Vernazza is here to calm me down as I share with you. The supervisor then said that there was nothing in their records stating the April deadline, that I was supposed to book a flight back to Europe within 3 months of my original date of cancellation. She followed that up with the fact that $469 was the cost of my ENTIRE round-trip ticket to and from Europe so even if they could use the money it would only be $234 and they would take the 130 Euro fee out of that. I could write to their company, fill out their forms and give them the medical information for the cancellation. That was my only choice. I asked to speak to HER manager. She said there was no one available and that I had no other options. Last week I recommended Norwegian Air. This week I am saying I will NEVER fly United Air Lines again. If you would share this post so that others would know of the heartless approach the air lines had, the untruths and the callous nature of the people I spoke with, I would appreciate it. And your friends may appreciate a head’s up on what can happen when booking with United Air Lines. If you personally work for United Air Lines, I am sure that not everyone there is like this. I am certain there are good people in the company. But this experience has soured me on them forever. Forgive me for my rant. I usually have great things to say about air lines, travel associates and travel in general. Let me leave you with another pleasant view of Italy. Ci vediamo dopo.